The way we live is changing at breakneck speed. But the faster we head towards a bold, new digital future, the more we seem to love all things retro. In an increasingly virtual world, we crave nostalgia, timeless design, authenticity and durability. Maybe it’s the appeal of holding something in your hands rather than clicking a Wii button. Or maybe it’s the fact that retro simply looks cool – after all, it’s the ultimate style statement. 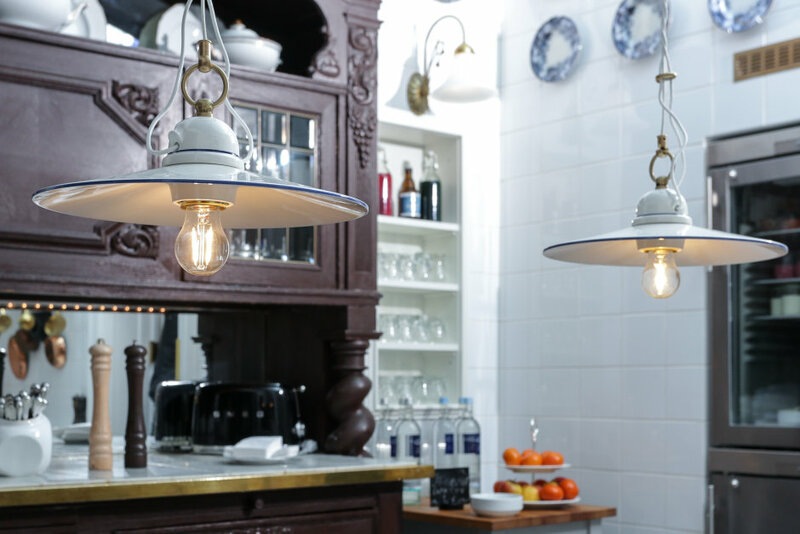 And nowhere is this truer than in the world of lighting, where exposed bulbs are striking an exciting balance between timeless vintage and industrial chic. Yet as much as we desire the look of days gone by, we want our technology to be firmly rooted in the present. The OSRAM Edition 1906 range of LED and halogen lightbulbs and fixtures is the ultimate expression of retro high-tech. Faithfully recreated from Edison’s first lightbulb, these authentic design statements give a knowing nod to the past – while firmly propelling you into the future. Delivered by LEDVANCE, Vintage Edition 1906 lighting is guaranteed to WOW your friends and family. Design & efficiency – that matches! Light tells fascinating stories. It changes moods and brings people and places to life. But can it work its magic on our ailing planet? The answer is YES – with the Edition 1906 range of vintage LED lightbulbs and fixtures from LEDVANCE. 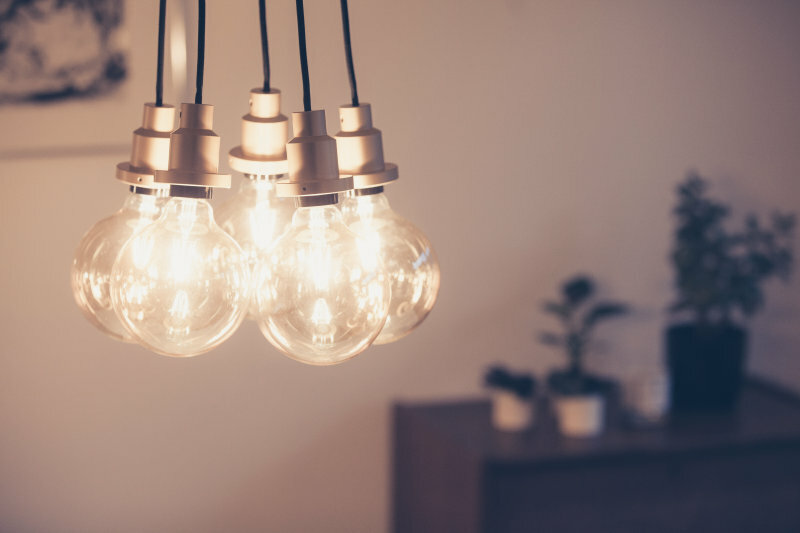 Gone are the days when retro bulbs were energy-guzzling eye-catchers, appreciated for their nostalgic flair but not for their environmental credentials. The Edition 1906 range of vintage LED lightbulbs and fixtures combines the retro look of times gone by with the technology of today. Edition 1906 glass and brass bulbs come in a range of stylish shapes. Their intricate filament designs bring a unique, antique glow to your home. But that’s not the only way they shine – they also put the spotlight on sustainability. Consuming up to 80 % less electricity, they last up to five times longer than conventional incandescent bulbs and keep on shining for up to 25,000 hours. And you can say goodbye to mercury and other hazardous materials. These LED wonders are good news for your bank balance and the environment. Whoever said you can’t have it all? So you’ve decide to rock the retro look? And you’re all aglow at the prospect of putting up your new Edition 1906 retro lightbulbs from LEDVANCE? It’s hard not to get excited when you see how the Edition 1906 lightbulbs add unmistakable, urban-chic charm to any room – combining industry sophistication with retro-minimalist flair. But then your heart sinks as you realize that your room is just not playing ball. The outlet is too far away from the space you wish to illuminate. And you don’t want to design your room around your lights– you want your lights to follow the room! 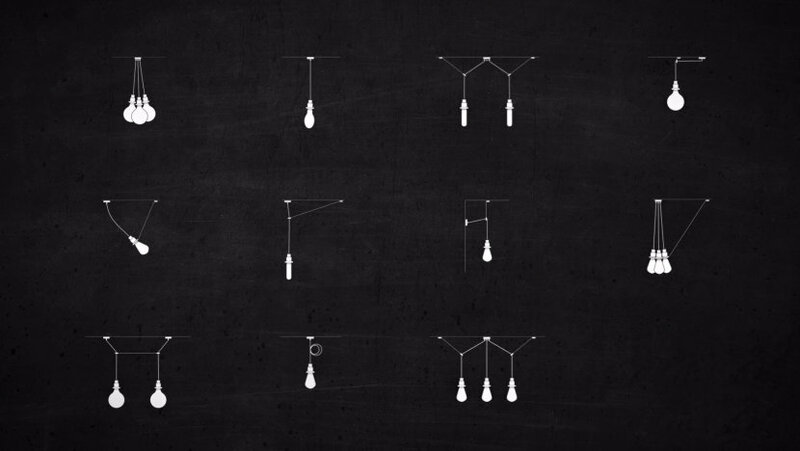 The Edition 1906 PenduLum throws a new light on cabling – turning it from a means to an end into an end-in-itself. The Edition 1906 PenduLum light features a satin-finished aluminum socket which hangs from a long, fabric covered cable. It comes with two aluminum rings and a length of steel rope which runs from any outlet or wall ring to a ceiling ring directly over the area you wish to illuminate. This ingeniously simple yet bold industrial design statement allows you to position your light wherever you need it – adding the perfect modernist touch to your carefully styled room.